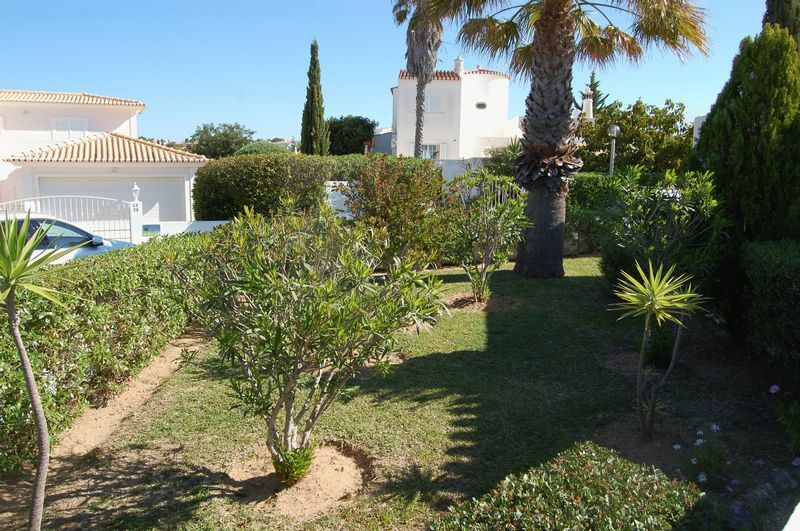 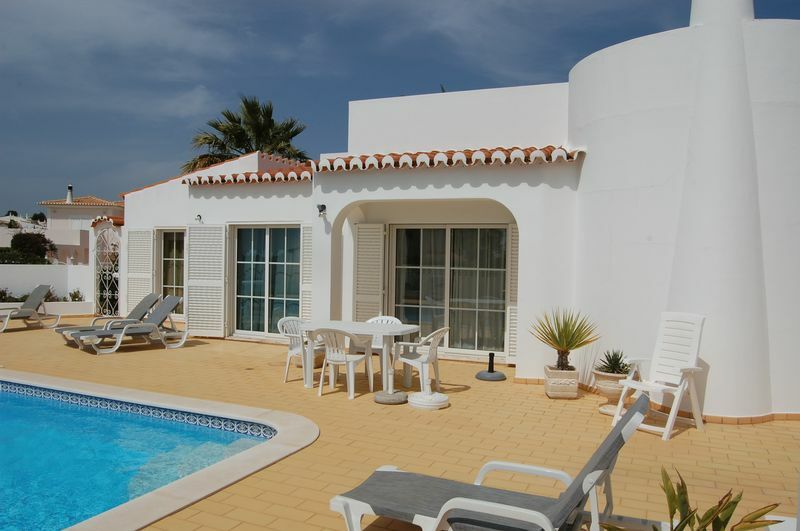 This delightful single storey villa is situated at the end of a cul de sac, in Vale de Milho so it is private and quiet and is easy walking distance to the popular Vale de Centeanes Beach. 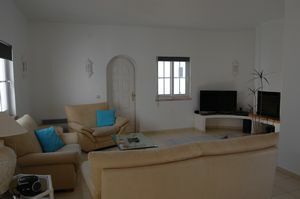 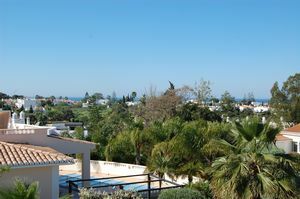 There are some views of the sea from the pool terrace and good views from the large roof terrace. 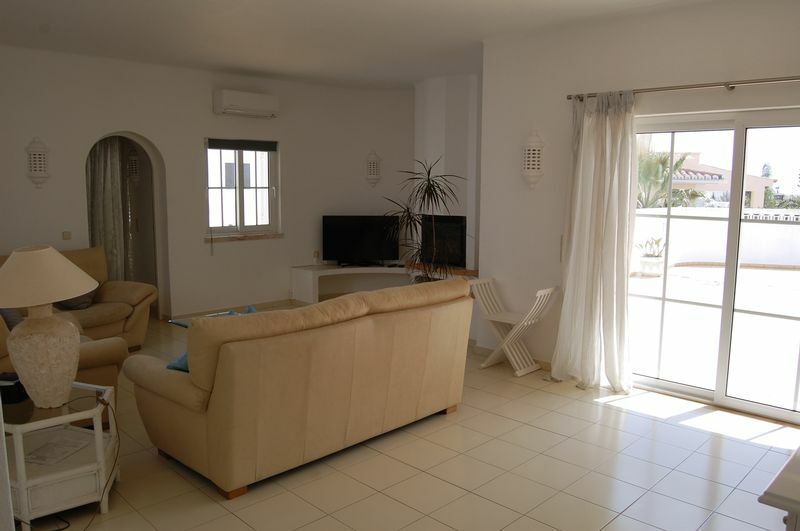 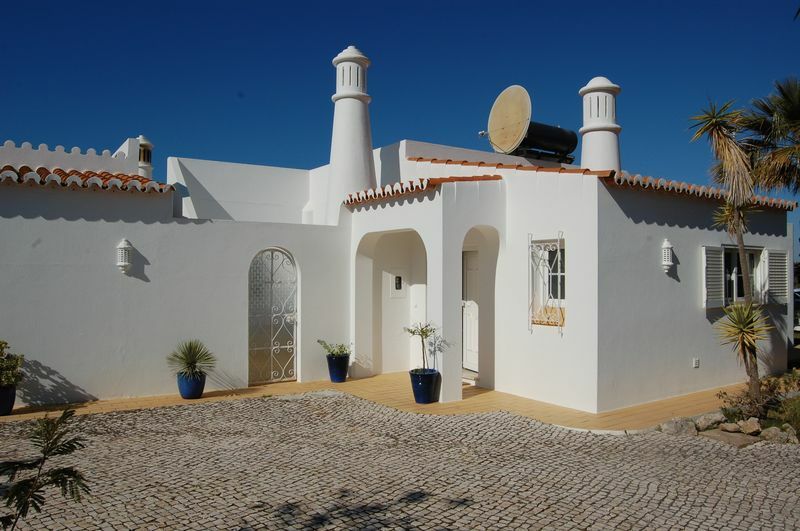 On an attractive plot this villa consists of a spacious lounge with separate dining area, kitchen, 1 en-suite bedroom, 2 additional bedrooms and a bathroom. 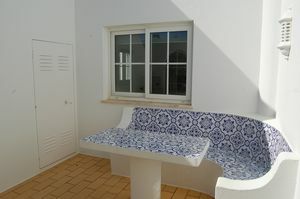 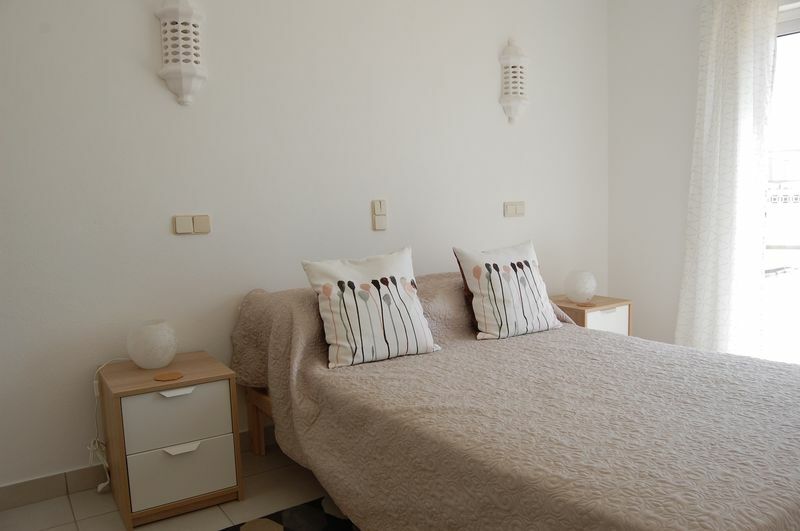 There is also a guest cloakroom, an enclosed drying area with 3 storage cupboards and an enclosed courtyard with a BBQ and dining area, from here you have access to the large roof terrace with views to the sea and surrounding area. 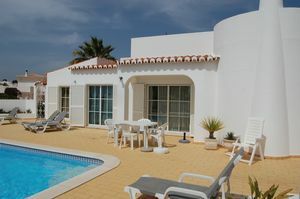 A large pool and terrace, again with a BBQ area and covered dining area, enhance this very desireable property. The villa also has a garage and sauna and is fully fenced and has electric gates. 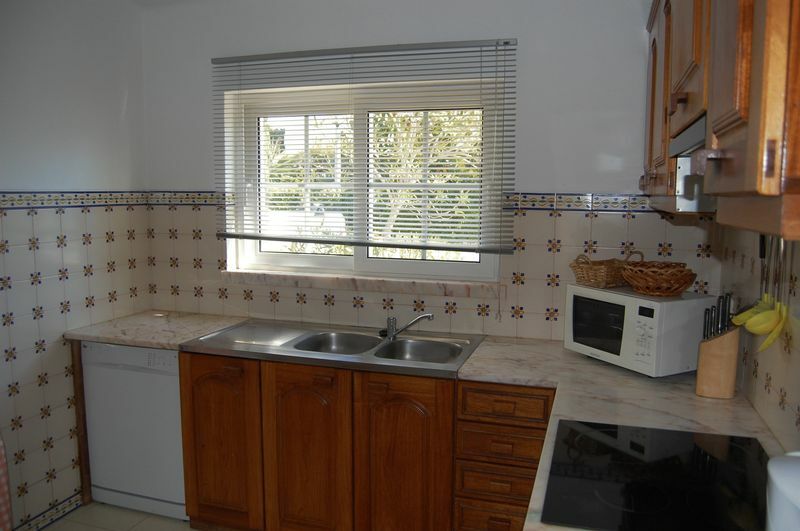 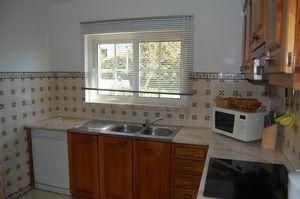 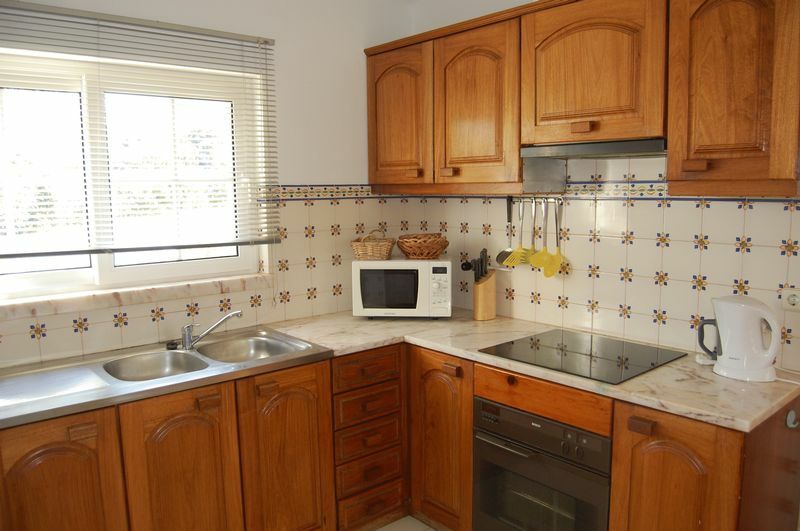 The property has been very well maintained and has new double glazed windows throughout. 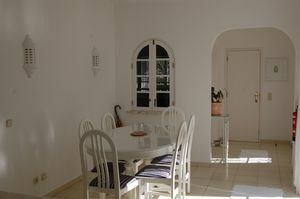 Bright entrance with a new white PVC front door. 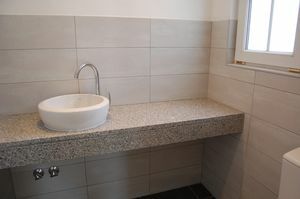 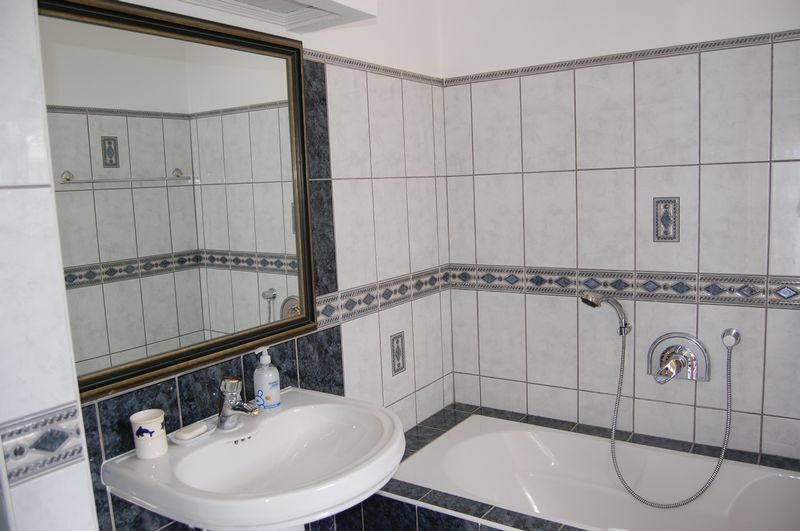 Accessed from the entrance hall, it has a window, w/c and handbasin and has just been completely refitted and fully tiled. 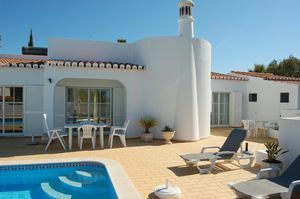 South facing bright lounge with patio doors opening onto the pool terrace, log burner, air conditioning and electric wall heater. 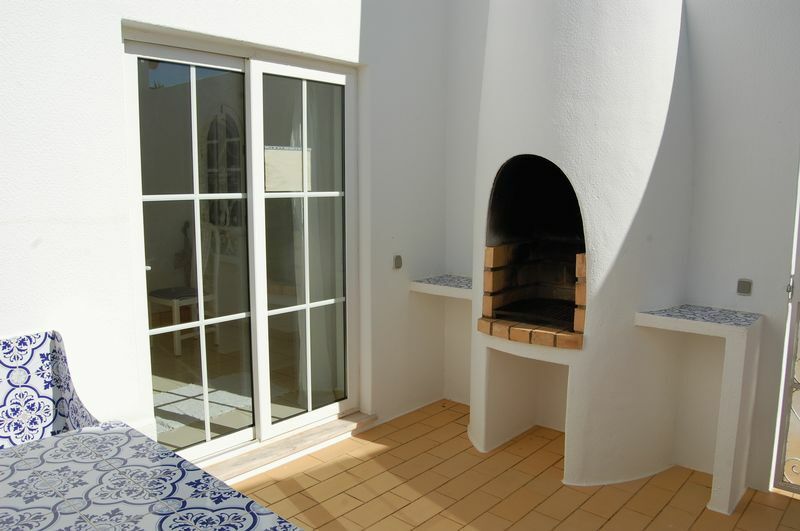 Having patio doors to the enclosed courtyard and roof terrace and an electric wall heater. 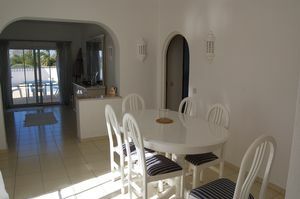 With a built in BBQ and dining area. Access to the roof terrace. 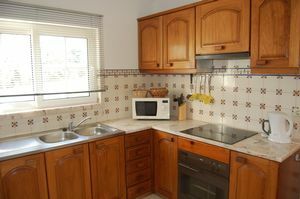 Fitted with a dish washer, fridge freezer, oven, ceramic hob and a microwave. 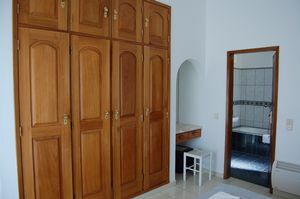 Enclosed area ideal for drying clothes, also having 3 large storage cupboards one of which houses the washing machine. South facing bedroom with patio doors to the pool terrace, fitted wardrobes, air conditioning and an electric wall heater. 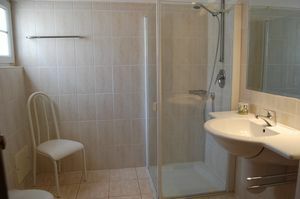 Refitted bathroom, having a w/c, single basin, bath with a shower fitting, additional shower unit and electric water heater. Underfloor heating. 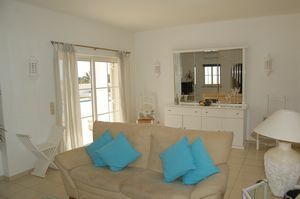 South facing room with patio doors to the pool terrace, air conditioning and an electric wall heater. 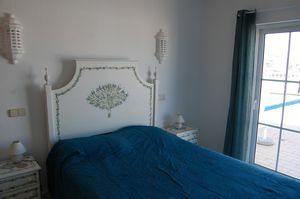 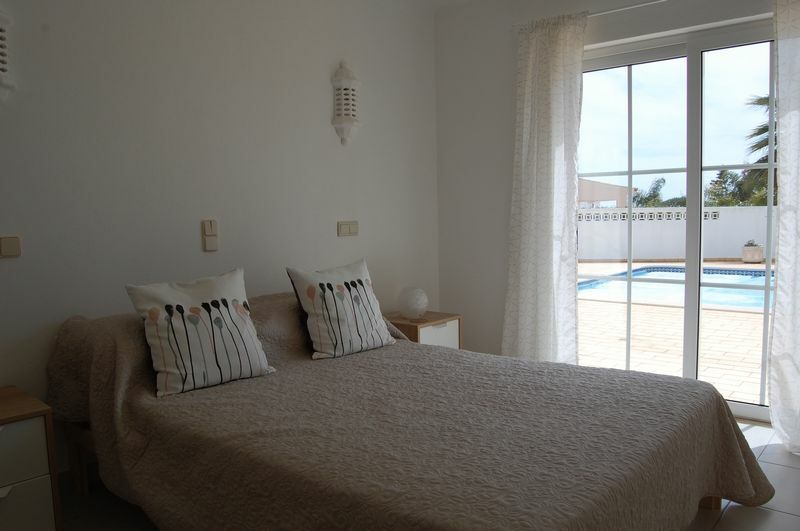 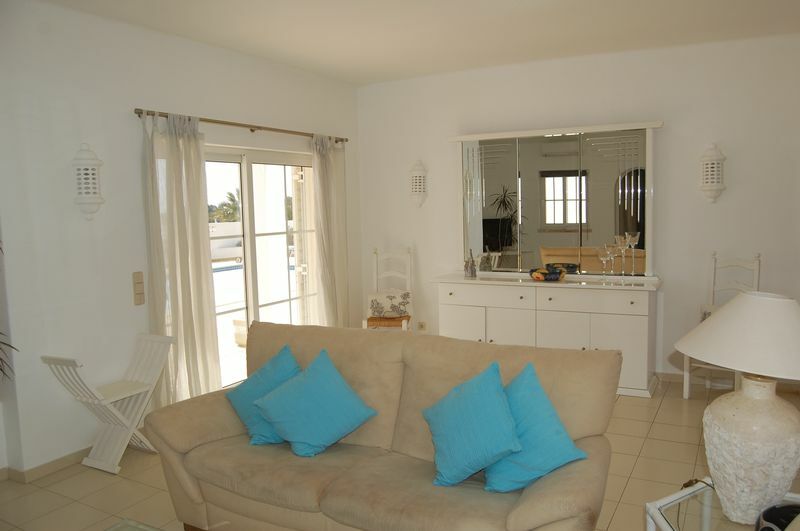 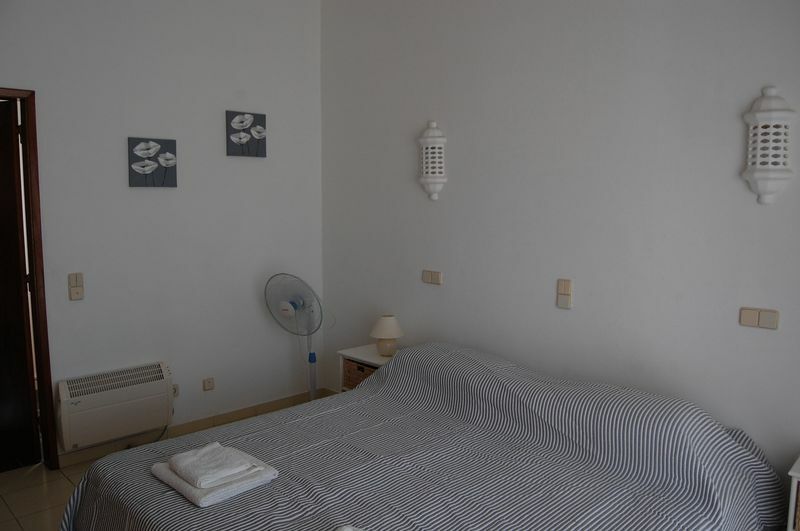 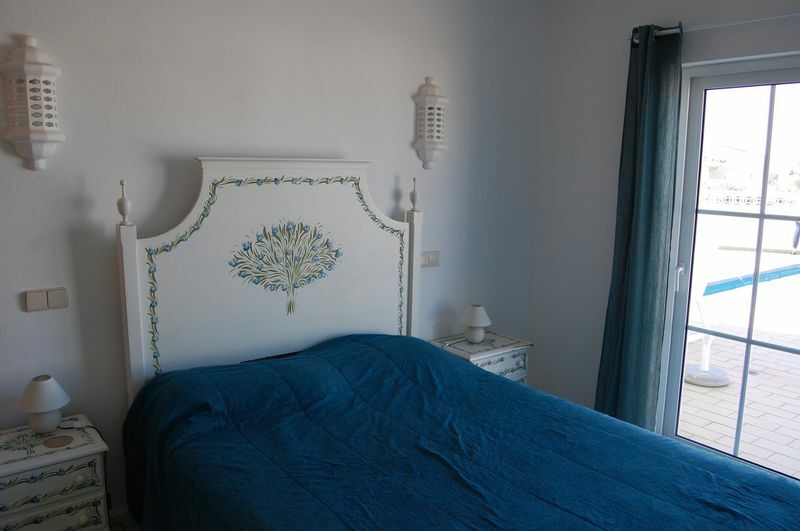 South facing bedroom with patio doors to the pool terrace and having air conditioning and an electric wall heater. 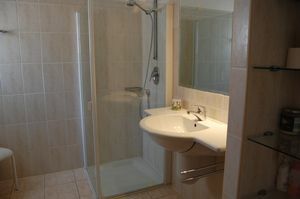 Fitted with a w/c, single basin, bath with a shower fitting, electric wall heater and a razor point. 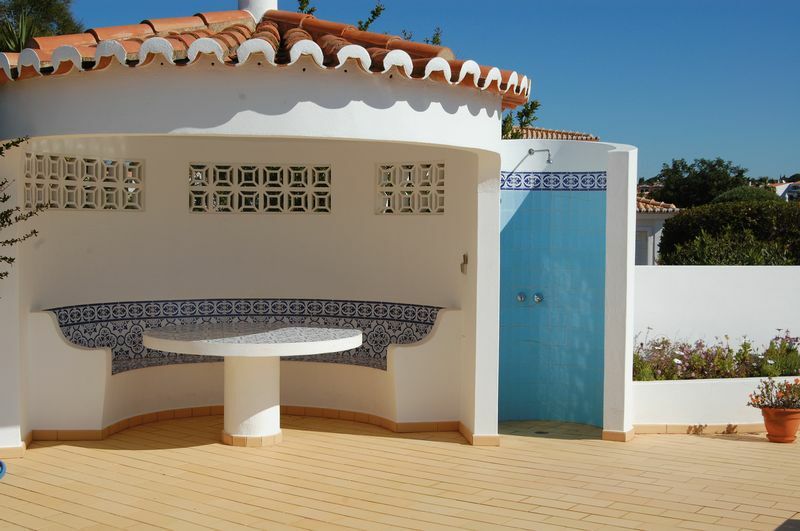 Underfloor heating. 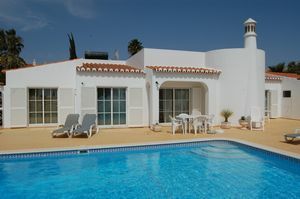 Heated pool, with sun throughout the day. 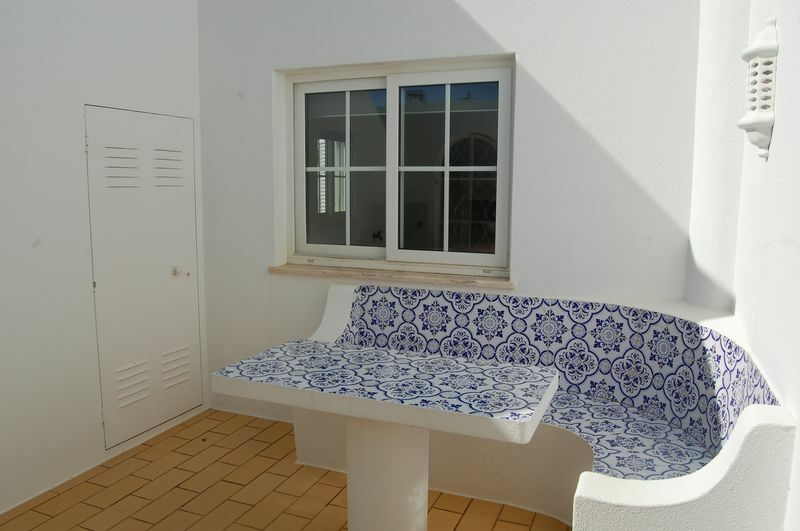 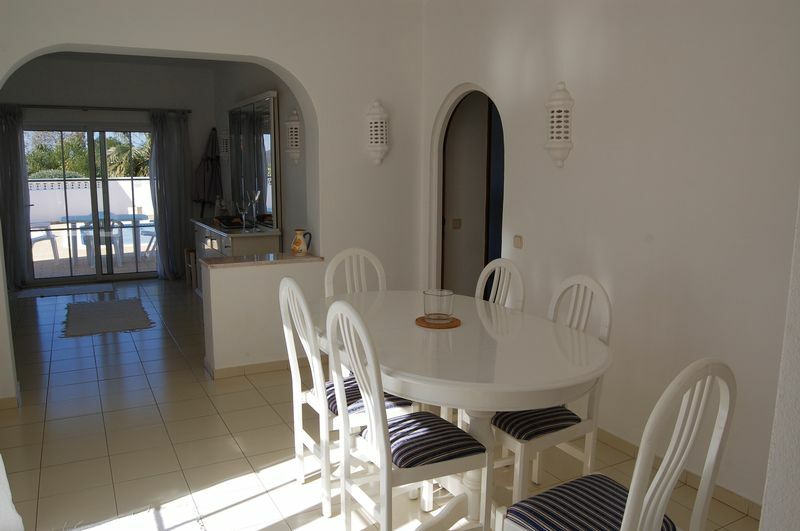 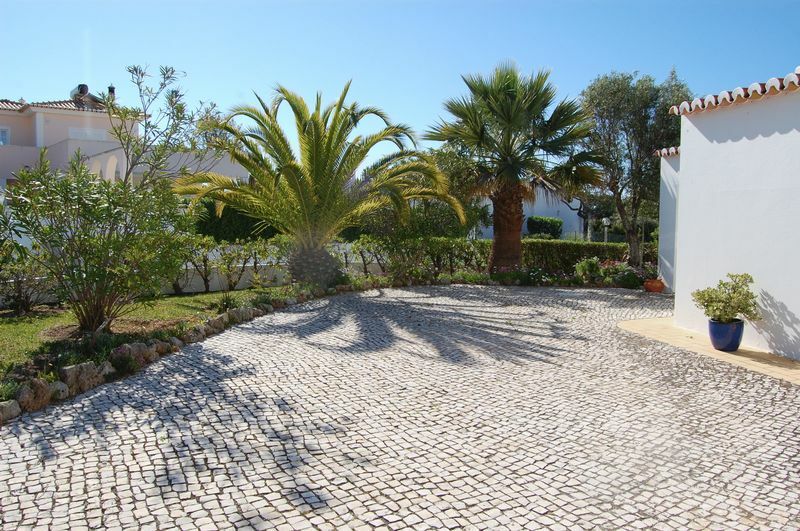 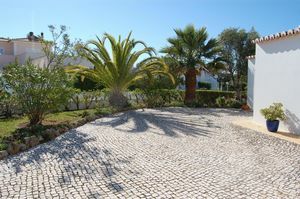 Surrounded by a tiled terrace and with a shower, BBQ and covered dining area. 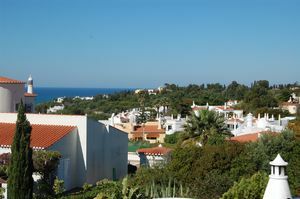 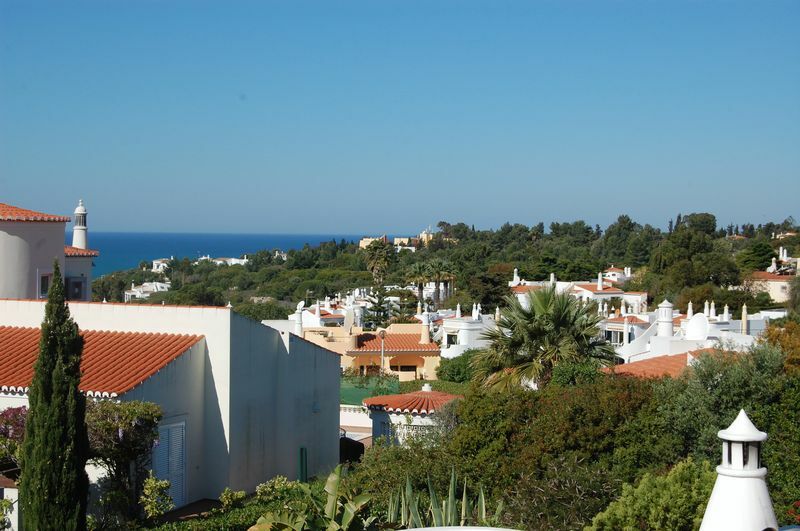 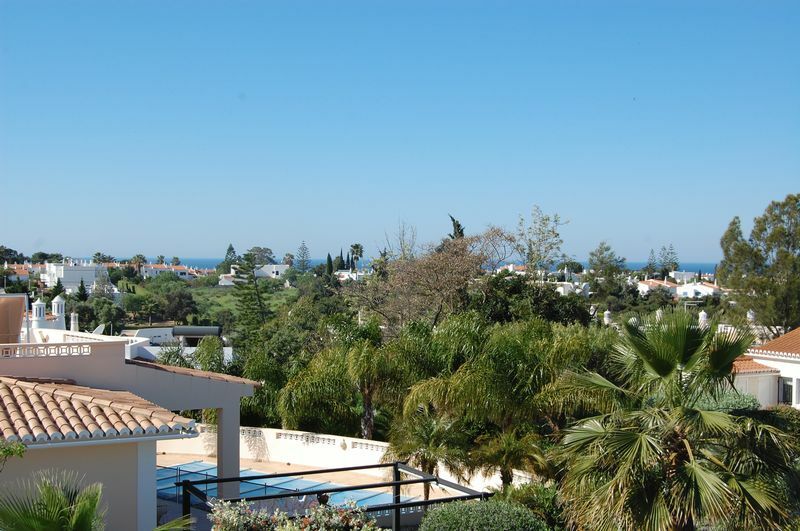 Large terrace with extensive views and distant sea views. 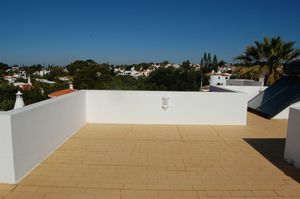 Solar water heating panels.